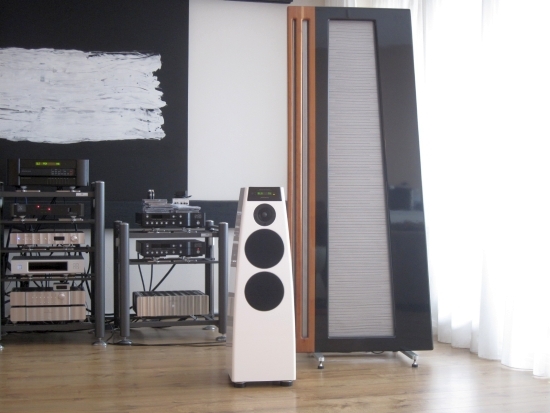 When I requested an 818 + Core source for my intended Roon vs Sooloos comparisons, Marijn Nederlof of Dutch distributor Viertron was so kind to also throw a pair of DSP 5200 Special Edition speakers in the mix. 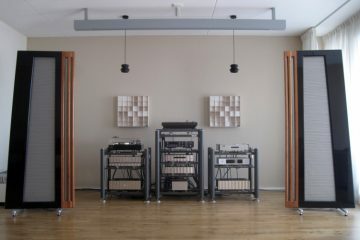 In addition to my own system, the listening room now hosts a complete all-Meridian Sooloos setup. That should lay to rest the concerns that some people had after I compared various Meridian Sooloos components in the context of my own system. 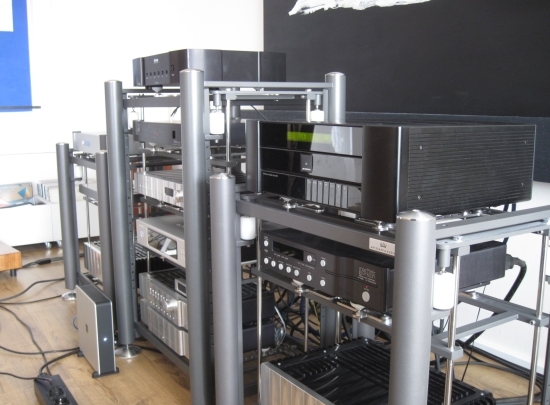 And after having played with these components for some time, I can see the added value of using a Meridian-Exclusive system, not necessarily in terms of absolute sound quality, but definitely for the added convenience and the complete lack of headaches over component and cable choice. 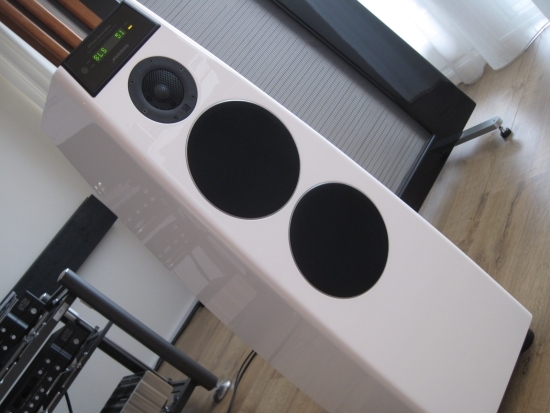 These are active DSP driven speakers with analog amplification and analog volume control. When using Meridian’s own Speakerlink, the speakers become part of the rest of the system and can be remotely controlled. Interestingly, when controlling volume from a Sooloos or Roon iPad app or desktop app, the speakers’ own analog volume system is controlled remotely. 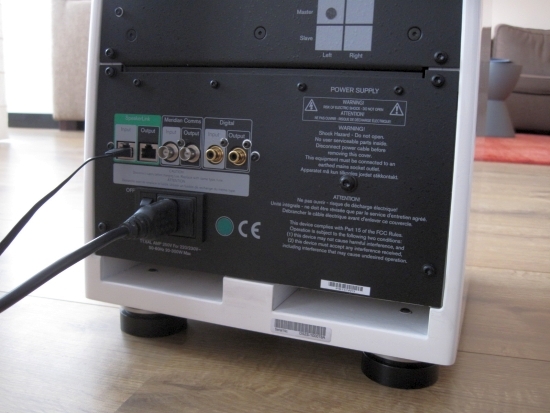 Any digital source can be connected but Meridian’s own Speakerlink (balanced AES/EBU on one pair of cables and control on another pair) turns out to sound best in my tests using the “Home Run” method with each speaker having its own cable to the 818. Connecting only the master speaker to the 818 and daisy-chaining to the slave speaker also works well but sounds slightly more congested. Either Speakerlink connection however sounds better than S/PDIF over a Belden RG59 coax cable to the master speaker with Speakerlink to the slave speaker. Coax connections sounding a little bass-heavy and soundstaging being less well-layered. Especially the thicker bass would be something that I would potentially prefer with my own speakers, but not on the full sounding DSP 5200’s. 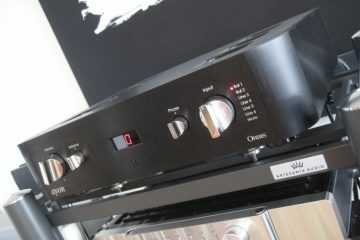 The nice thing about Speakerlink is that all components in the system are connected cleverly so that for example when the 818 is switched on, so are the speakers. But likewise when clicking play in Sooloos or Roon while the system is off, the components will switch to the appropriate inputs and start playing. Although I needed some time to find the best spots for the speakers, I was reminded from the first notes why I was originally so fond of Sooloos. The sound really is just right, and not at all computer-esque. The presentation is confident, solid and for a lack of a better word, real. Initially I had some bass thumb to get rid of, which in all fairness is a known issue in my listening room when using dynamic speakers. The solution is simply to pull them much further into the room and a little more apart than the Apogees are. The photo above btw does not show their final positions. Going through their set up menus, I found that they sounded best with EBA (Enhanced Bass Alignment) enabled and set to freestanding. EBA in particular worked wonders for the imaging in the depth plane and overall coherence. It turned out to be important to have one speaker set as master and the other as slave for all settings. 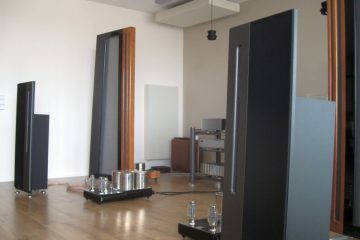 Making individual settings, even if they were the same on both speakers, resulted in treble that would wander slowly and subtly left to right and back, as if the speakers’ clocks were slowly drifting. Having the second speaker in slave mode cured this reliably. After they found their optimum positions I was presented with a beefy-solid sound with very good imaging and focus and with much better layering front to back than anticipated. 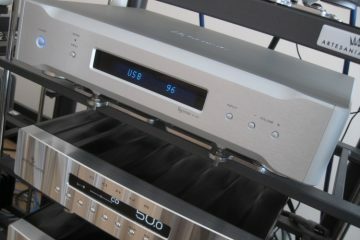 Compared to the gigantic Diva’s the DSP 5200’s have a lower stage but that is only expected given their more modest size. What was not expected is their very wide imaging. Sounds sometimes come from the far left of the room, well besides the speaker’s physical position and not only that, sounds seem to have a height aspect as well, and well above the speaker’s own physical height. Overall resolution is good, but not spectacular, and perhaps less than one should reasonably expect at this price. 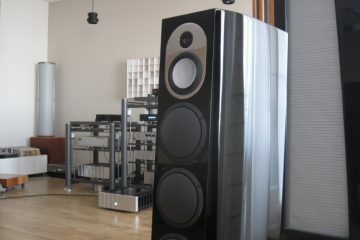 It’s however not any one audiophile area that the speakers excell in, but rather the presentation of music as a whole. 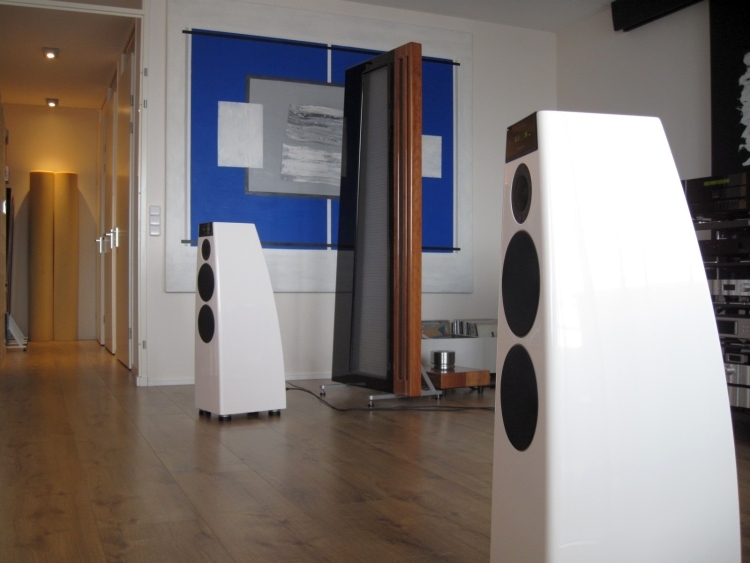 Colouration is very low and the speakers do actually vanish while filling the room with sound but before this happens they have to be very carefully set up. While not particularly beamy, they do need to have the exact same toe in, otherwise focus will tend to either side. Tonal balance compared to Apogee speakers is definitely on the dark side, but on balance, treble is not lacking. It’s just not as airy or explicit, as is the case with ribbon-tweeter speakers. The tweeters do have a near perfect combination of articulation and musical purpose, and are absolutely never bright or in your face. The darker tonality is most obvious when switching right from the Apogees, but after a while one gets accustomed to this and with well recorded music the balance is actually very sensibly made. The DSP 5200 SE’s strongest point arguably is their solid and unwavering presentation regardless of volume level. Boy do these speakers ever know how to party! I have heard more open sounding dynamic speakers, the Kharma 3.2FE’s for example were quite a bit more airy and “audiophile”, but they could also be pretty ear-piercing with some music. 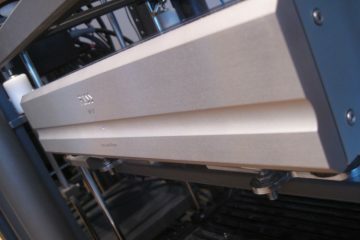 The DSP 5200’s however are never ever agressive or harsh. What’s also worthy to note is that these Meridians can really rock! My Apogees work well with most music that I listen to but either they lack the balls and grunt, or maybe they’re just too precise, whatever the reason, they do not really rock. Even CD’s that I find particularly unrefined or flat or even messy on the Apogees, turn out with aplomb on the Meridians. My foot starts tapping and a little voice in my head says “go on, turn the volume up!”, and I do, and it is a thrilling ride! 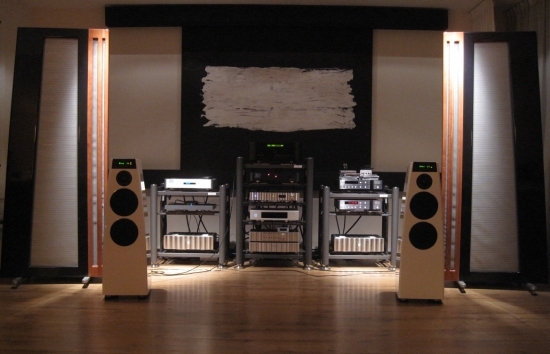 There’s a live-performance-like quality to this system that my Apogees do not have, certainly not in this measure. As mentioned in the header, my initial reason for requesting the 818v3 + MC200 was to assess the differences between Roon and Sooloos, and by extension, how they compare with my current digital reference setup. I will only touch broadly on this subject, but you can read all the details of this comparison in Part 5 of the ongoing Roon Review. I had already owned the first version of this majestic piece of audio jewellry but had sold it again after being dismayed with Sooloos’ software side limitations. It was now time to hear the 818 in my main setup once again, this time in v3 guise. 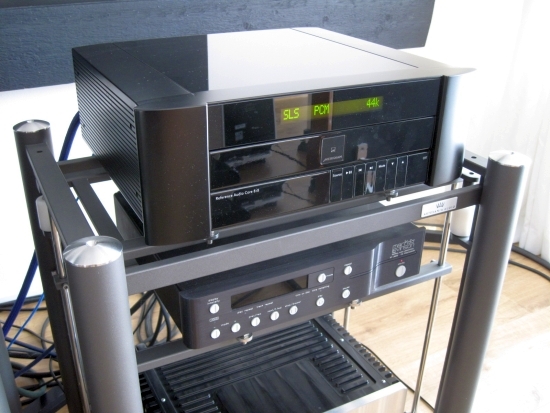 My current personal system consists of an Aurender N10 music server and a Wadia 521 DAC, connected with a Mad Scientist HDC Plus digital cable and driving the preamp with a Cardas Hexlink Golden 5C XLR interlink. When switching from the Aurender + Wadia to the 818 with Sooloos I was immediately reminded why I liked this processor so much. 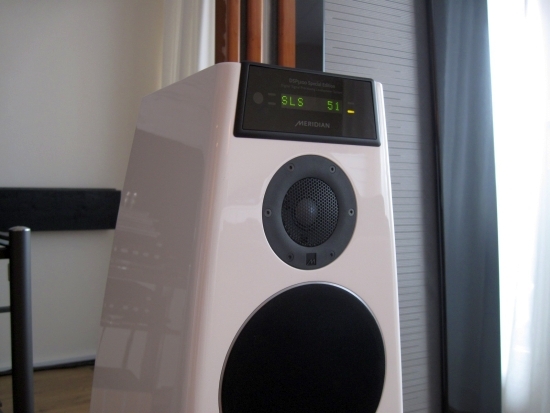 No doubt helped by its Apodising filter, the 818 has a decidedly positive and propulsive sound, with an open and communicative midrange that makes for a highly engaging listen. 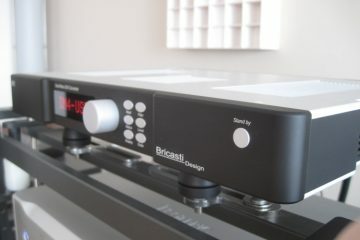 It was initially connected with the same Cardas Hexlink interlinks as the Wadia 521 to create equal circumstances, and AudioQuest Water produced results very similar to the Hexlink’s but a change to Elijah Audio Katoen XLR’s made the 818’s midrange tone down just the right amount to make it both a little smoother as well as sound more inline with the Aurender+Wadia combination. This just goes to show the 818’s excellent operating point with lots of room to tweak the sound a little left or right. I have no doubt that the sound of Roon could be further improved if it was running on a dedicated, audio-optimised platform and not on my do-it-all PC. But swithing from Sooloos to Roon as a source, I was surprised at the similarities rather than the differences. Compared to streaming Sooloos from the MC200, with Roon on my regular PC midrange becomes slightly less prominent and transients a little less sharp, but overall the difference is not night and day and with either music source, the sound is decidedly of reference quality. Importantly the integration of Roon with the Meridian components is just as seamless as it is with Sooloos. I have to admit that the following is probably not an experiment that many audiophiles would venture into because on the one hand it is a doubling up of functionality and on the other hand it is cost-inefficient, but I had to try it. I just needed to know: what would the 818 sound like when fed from the Aurender N10? This is an easy one to settle. 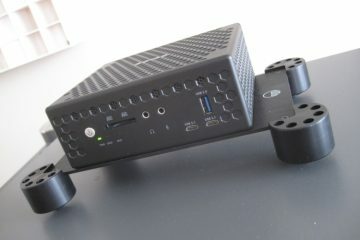 I already had identical playlists on both servers and all that needed doing was to connect the N10 to the 818v3 digitally. For this I used the Mad Scientist HDC Plus. Actually, I have a pair of HAC Plus, but the digital version is the same, albeit being only 1 cable. Now switching between Wadia 521 and 818v3 both fed simultaneously from the Aurender sources would you believe that the difference is now even smaller than when the 818 had Sooloos or Roon as source? I wouldn’t have figured this but the 818v3 used as a traditional DAC actually sounds very close in character to the Wadia 521. Timbre, treble extension, bass power, midrange tonality, all very close. 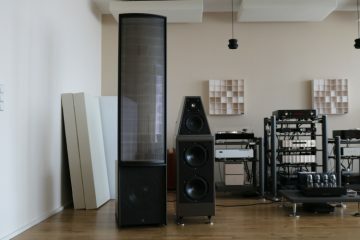 The most notable differences are in the soundstage layering which is more diverse back to front with the Wadia and more in one (slightly forward-) plane with the 818 and the timbre, which is slightly more sonorous with the Wadia. Now some of you will blame the digital cable, claiming that Asynchronous USB should be better and I would normally concur, but ever since I have the Aurender N10 the differences among its outputs have become really small. Just in case that the situation is different now, I also connected an AudioQuest Diamond USB cable between Aurender and 818 and switched back and forth between the two. To my ears, in this system, the difference really is so small that I can’t tell which one I prefer. I recall my experiment with the amount of network switches, and how Sooloos sounded best with only 1 switch between storage and endpoint. In this case there are two switches. Moving the MC200 right next to the 818 and connecting it to the same switch thereby removing 1 switch from the chain. Resuming my comparison of Aurender and Sooloos into the 818, Sooloos now sounds even fuller and upfront, but still different from the Aurender source. I’m actually pretty amazed by this. Apparently the bigger difference is now in the source rather than in the DAC and this supports my tenacious belief that there is more to music servers than initially meets the eye. But no matter how you interpret my observations above, the underlying feeling is that the 818v3 really is more than the go-to endpoint for discriminating Sooloos and Roon users, it also is an excellent DAC in its own right. Further testing the 818’s capabilities, I intended to play some hi res files from the Aurender (connected with Mad Scientist HDC Plus digital cable), assuming that this would work up to 192khz. While browsing I decided to cue a DSD file just to see what would happen. Turns out the 818 plays DSD natively! I had apparently missed this feature when reading its brochure. But more importantly than its compatibility with DSD is the way it sounds. For the first time really, I find that the DSD files that I have sound open and airy as expected but also every bit as sonorous as their PCM counterparts. Very nice indeed! For the occasion I borrowed a Jeff Rowland Aeris from a friend. This is the same DAC that was my reference for 2 years and also the same DAC that replaced my own 818v1. I’m now not so sure why, but at the time I obtained better results with the Aeris and AudioAanZee Ultra Flow music server. This time around I would not be so quick to proclaim the Aeris as being better. 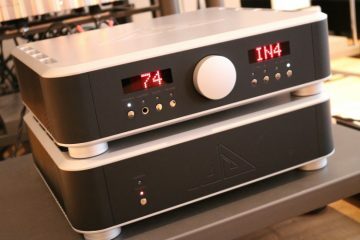 Both DACs fed from the Aurender N10 music server via a Mad Scientist HDC Plus digital cable the 818v3 sounds every bit as natural and acoustically convincing, the differences now being more a matter of taste (extra smootness for the Aeris vs a more lively sound for the 818v3) rather than a difference in absolute quality. I feel that this is a great achievement for the Meridian! Lots has been written about MQA and I won’t repeat too much of it here. Marijn of Viertron tipped me about the existence of a variety of test tracks in all formats including MQA on the 2L site. With randomly found downloaded material there is always the chance that the mastering process for one file differs from another, making valid comparisons difficult to impossible. The advantage of the files on the 2L site is that they all have the same DXD master and are subsequently converted to the various formats. 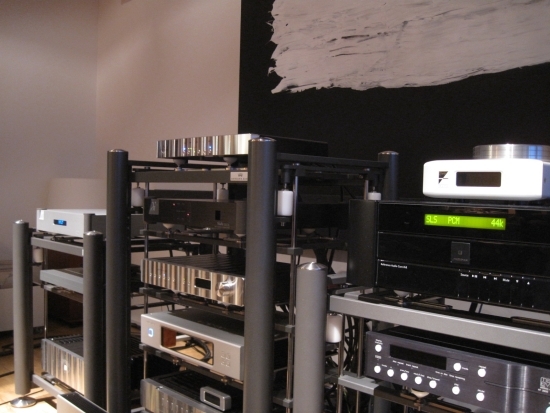 According to the 2L Test Bench page, “MQA is an end-to-end process which consideres the AD converters from the original recording sessions and the actual DAC used for playback and reduce its digital ’fingerprint’. It sounds best through an MQA decoder which confirms this studio recording as you listen, but even with no decoder you will enjoy the deblur of the recording side. 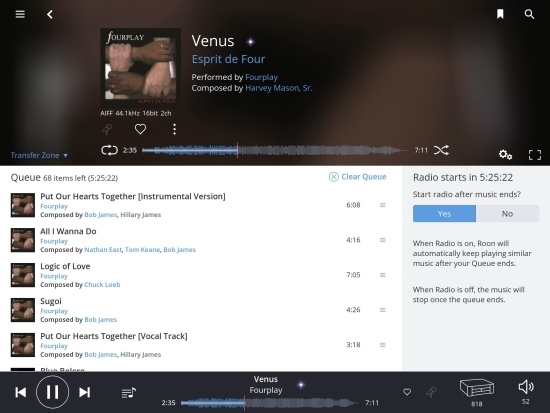 Using pioneering scientific research into how people hear, MQA technology captures the full magic of an original audio performance in a file size that’s small enough to stream or download.” In laymans language this process is about compensating for the artifacts introduced in the production path, which is done by means of embedding a fingerprint in the files which is detected by a suitable DAC, such as the Meridian 818v3 that is on review here. The Aurender would probably also have worked because MQA relies on the decorder part which is in the DAC but I decided to keep the digital part of this particular comparison in the Meridian domain. I downloaded 8 tracks in 3 formats: 44.1 kHz CD quality, 24/96 PCM and MQA, and played them all in that order. The listening panel for this part consisted of 4 people in total and our conclusions were uniform: we consistently preferred 44.1 CD and MQA over the 24/96 files. The latter always sounded softer and rounded on the transients, and it had something of a processed quality. Speaking of the latter, while MQA was technically clearly superior (we heard increased resolution, better decay and better soundstage layering particularly in the depth plane), there was also a “processed” quality to the MQA files, that wasn’t present with the 44.1 kHz CD files but the latter did sound somewhat dry in comparison. Maybe it’s also a matter of what you’re used to, or what the system is optimised for. All circumstances being equal I am ultimately not really sure if MQA is indeed musically more rewarding than plain old 44.1 kHz PCM. I’d have to listen to more material over a longer period to really form a well-rooted opinion. Perhaps Meridian could send me some more samples? Hint-hint:-) In any event however it is clear that MQA is not just a marketing tool and really does deliver on its promise of Hi Res quality in a CD quality filesize. I know that I can be lengthy in my reviews… so let me be very brief about one thing: the Meridian 818v3 is a superb machine. Even in plain DAC-guise it is up there with the best DACs I have heard. 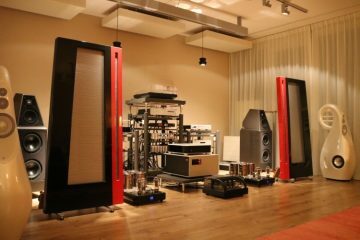 But add in its preamp facilities, Sooloos/Roon compatibility, MQA/DSD capability, all its Meridian system functionalities and upgradeability and it’s clear that what we have here is a product that is comtemporary as well as future-proof. Further, the DSP 5200 SE speakers perform beyond expectation, MQA delivers on its promise of providing Hi Res quality in a CD quality filesize and Roon has blown new life in the Sooloos hardware environment and integrates in the Meridian eco system perfectly. Christiaan, I am intrigued by your MQA comparison. The 2L test bench only has one file not recorded above CD resolution, so I am guessing that the files your compared were coming from 96k or higher, thus it seems really odd that you would find 44.1 preferable, as the the most distant sample rate from the original. Do you have any thoughts on why this might be? Could the 818 just be happeier at the lower rate ( although it automatically up samples and apodises everything). I am very sensitive to music speed and whilst the prospect of MQA is enticing, I am worried that the extra processing will remove some of the natural timing, which you seem to be detecting. Perhaps this will come down to the different implementations by manufacturers. I imagine with this extra processing that a super quiet electrical environment is going to be key. like you, I am indeed sensitive to timing, and the effects heard, fall in that category. Even though various aspects were definitely better, I seem to prefer the timing of the lowest resolution file. Maybe there’s something to the way that these test files were created. All files were derived from dxd masters and so indeed 44.1 is the sampled down lowest of the bunch but there might be differences in the sampling process. Also it’s not the same as creating new files by recording them in their final resolution right from the start. These kinds of things are surely also dependent on the interaction with the DAC and way that the decoding is done. With FLAC I also have the idea that even though mathematically there is no difference, I still hear a difference between uncompressed pcm and flac. This must surely be down to the way that the file is processed in real time on the destination side. However, in this case both 44 and 96 files were flac, and MQA sounded better than 96kHz in spite of extra processing. Also the 818 sounded fantastic with the native dsd files that I have, so I’m hesitant to draw hard conclusions. Thanks for your thoughts. Perhaps the flac compression is working harder on the 96k and taking something away, but the extra magic of MQA is overcoming that for an improved result in that case. Today’s announcement about Warner music becoming available is exciting. Hopefully I will get to test it out with my reference Prince track – Baby I’m a star. That track goes along at a great lick and the slightest politeness in timing takes a lot away from it. I tried the Chord Mojo in my system ( although not really what is designed for) and although it did some things better, it just couldn’t keep time like my 20 year old modified laser disc player. Nice review, thank you! 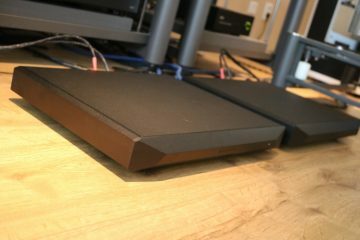 As an owner of an 818v2, I agree with your appraisal – I do understand why you preferred another DAC over the v1, as the jump from v1 to v2 was quite big. I assume there is another to v3. Remember when you prefer CD and MQA quality over 24/96 that Meridian process CD quality files in a different way to most (apodising filter, etc.) which claim to get the results closer to hi res – perhaps this too is no idle marketing claim? Lastly, do remember you were listening to the baby speakers of the Meridian range! Upwards from this, in the 7200 and 8000 SE you will get that bigger soundstage, depth, height, resolution, you were slightly missing in these.